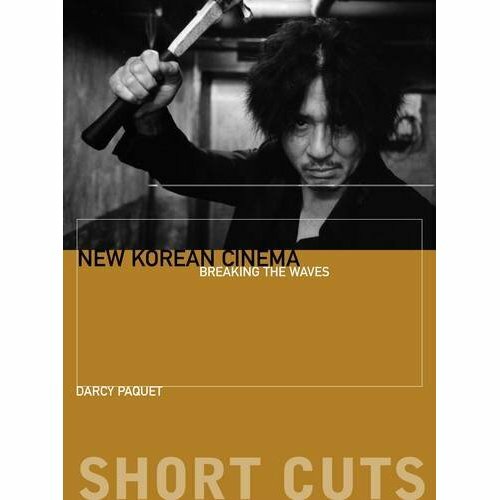 Darcy Paquet’s book on Korean cinema may be short (from intro to conclusion it runs just over 100 pages) but it is easily the clearest picture of Modern Korean cinema that exists in what is admittedly a small library. More importantly, what I love about New Korean Cinema: Breaking the Waves (hereafter NKC) is the diligent context it provides. The framework for everything that happened to or changed within Korean cinema in the 21st century is successfully laid out by Mr. Paquet. Upon completing the book I felt I understood the inner workings and the root of everything that typifies one of the most electric films industries in the world. I helped me put perspective on my own ideas and sowed the seeds for many new ones. Perhaps its brevity is its success, had Mr. Paquet followed his groundwork and written in his own theories and ideas regarding Korean cinema, it most likely would have quelled the impulse to his base as a sounding board and starting point for each of his readers ideas. It is a tool which serves as gift for the power of interpretation. It is easy to draw several different conclusions after reading NKC, but at least we’ll have all gotten the facts right!